A dairy farm in Buffalo County is among many operations in western Wisconsin and around the state that relies on immigrant workers. As farms and other agricultural businesses around Wisconsin struggle to find and retain employees, many turn to seasonal worker programs to hire workers from outside the United States to fill empty positions. Performing jobs that often otherwise go unfilled, these seasonal workers play key roles in local economies, including in western Wisconsin. The federal H2A (for agricultural workers) and H2B (for low-skill, non-agricultural workers) visa programs allow employers to hire workers from abroad during their busy seasons if they can fulfill two conditions. One, employers must be able to prove that there are not enough willing, qualified and available American workers to employ and, two, that employing seasonal workers would not affect the wages and working conditions of similarly employed Americans. Without these visa programs, many Wisconsin farms would not be able to operate at their current capacity, said Simon Jette Nantel, farm management specialist at the University of Wisconsin Center for Dairy Profitability and an assistant professor in the UW-River Falls Department of Agricultural Economics. "I believe it has a positive impact on the local economies, because without those foreign workers, pretty much all the farmers wouldn't be able to operate at the scale that they operate on," Jette Nantel said. "And they wouldn't be able to offer produce that is competitive at such a cost. 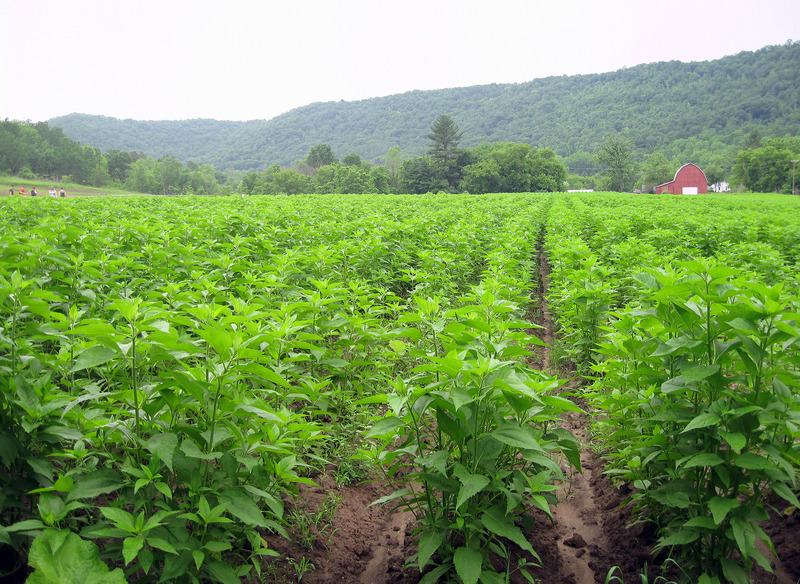 In the end, they allow for those farms to produce at a higher scale." Many H2B workers have jobs in the landscaping, food service or other industries, while H2A workers are employed at various types of farms nationwide. Largely from Mexico and Central America, they essentially fulfill roles that U.S. citizens don't. "Many farmers have tried putting ads in the paper, recruiting from high schools or talking to neighbors, but they can't rely on those workers, or they're just not interested," said Jennifer Blazek, director of the Farm & Industry Short Course at the UW-Madison College of Agricultural & Life Sciences. "People are interested in working on a farm, until they actually work on a farm." Regardless of the nature of the work, both visa programs have attracted thousands of immigrant workers in recent decades, according to the Council on Foreign Relations, a public policy think tank that researches and communicates on foreign policy issues facing the United States and other nations. In 2016, the U.S. Department of Labor issued over 130,000 visas for the H2A program, which has no limit. This number is steadily increasing. The H2B program, which does have a limit set annually by Congress, reaches it year after year, and oftentimes leaves many employers with fewer workers than they requested. The 2018 cap was originally set at 66,000 visas, but was later increased to 81,000. In Wisconsin, 1,235 visas (575 H2A and 660 H2B) were certified between Oct. 1, 2017 and June 30, 2018. Of this total, 342 visas (106 H2A and 236 H2B) were for employers located in seven counties in western Wisconsin fronting the Mississippi River: Pepin, Buffalo, Trempealeau, Vernon, Crawford and Grant. This region is home to 4.6 percent of the Wisconsin's population; however, it accounted for 27.7 percent of the state's H2A and H2B temporary visas during this time period. While the reasons for this difference are not entirely clear, Trisha Wagner, an outreach program manager for the UW-Extension Farm Management Program, pointed to a decline in rural populations and challenges in retaining younger generations who might perform these jobs in rural areas like much of western Wisconsin. Like employers nationwide, many in Wisconsin rely heavily on foreign workers, especially during busy seasons. In the seven-county region in western Wisconsin, these employees are typically employed under a variety of titles, including "forest and conservation workers, landscaping and groundskeeping workers, food preparation workers and farmworkers," according to the U.S. Department of Labor. Richard de Wilde of Harmony Valley Farm in Viroqua said that his 40 seasonal workers are "the dream team." He described them as "absolutely everything you’d hope for in employees. They are dependable, capable, smart, very productive, inventive, and all around pleasant to work with." Scott Kee, the vice-president of operations at Sacia Orchards in Galesville, echoed this praise for the program. He said hiring seasonal workers is "the only way we can get the crops off the trees." "It's not political for us, it's pragmatic," Kee also said. Although not required by law, many employers provide H2A or H2B employees with housing for their duration in the U.S. At Sacia Orchards, Kee said that they've built two on-site dorms for the 32 H2A workers. "We're asking them to handle precious cargo and to be safe. So, they need to have a nice bed and a nice place to sleep, understandably, since it's hard work," Kee said. While many farms and other businesses utilize the H2A visa program, there is one major Wisconsin industry is almost entirely left out of the equation: dairy. Due to the year-round nature of the dairy industry, dairy farms do not qualify for the seasonal worker programs, even though they struggle with finding and retaining good labor. "Many dairy farmers would like to have access to a program that would allow them to bring in workers for a few years, but that doesn't exist," said Simon Jette Nantel of the UW Center for Dairy Profitability. "Therefore, a majority of the farm labor is migrant workers -- and to what extent they're documented or undocumented, we're not able to get statistics." 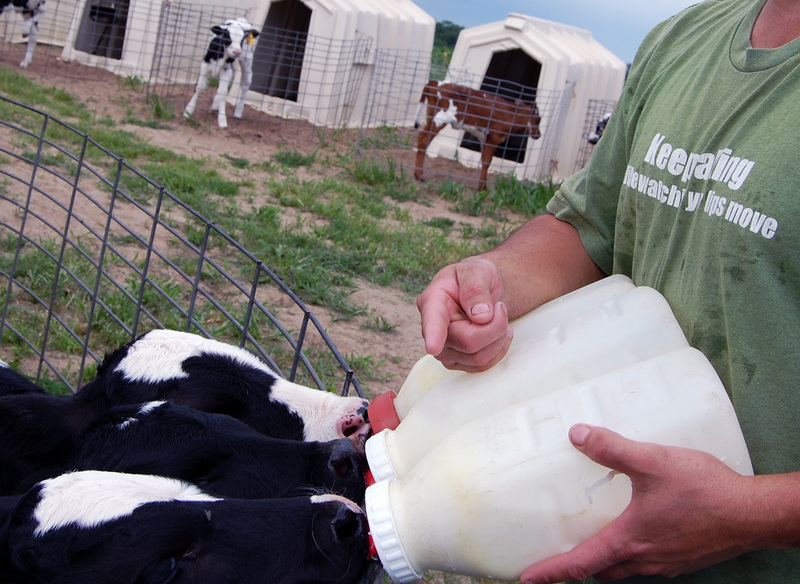 Some dairy farms hire full-time immigrant workers, many of whom are undocumented. In 2008, 40 percent of Wisconsin's dairy workforce were immigrants -- up from just 5 percent in 1998, reported the Wisconsin Center for Investigative Journalism. Their numbers have been even higher at larger dairy operations. Under the Trump administration, dairy farmers and their immigrant employees say they are facing increased hostility and fear crackdowns that could jeopardize their livelihoods. Meanwhile, there have been legislative efforts to expand guest worker programs to include the dairy industry as it grapples with a growing reliance on undocumented immigrants for its workforce. "The labor market is tight everywhere, and dairy farmers are also struggling for labor," Jette Nantel added. In May 2018, the seven-county region in western Wisconsin had a 2.5 percent unemployment rate, consistent with the statewide rate of 2.6 percent. One program that dairy farmers have utilized as an attempt to rectify their labor shortage is the H1B visa program, which allows employers to temporarily hire specialized, educated workers in certain fields. Jennifer Blazek, of the UW-Madison ag school, said that oftentimes, dairy farms hire veterinarian students from other nations under the H1B program; however, they are still temporary, and leave those businesses with the same shortages they faced prior to their arrival. "It would seem logical for dairy farmers to participate in these programs," added UW-Extension's Trisha Wagner. "We have these visa options for other agricultural industries, but not dairy. And a lot of farmers are feeling the labor issue right now. Unemployment is low, so it’s hard to find help." While lower unemployment rates are generally positive for job-seekers and the broader economy, they illustrate a labor shortage problem in the, dairy and broader agriculture industries. "If we couldn't bring these seasonal workers over, we would have less horticultural production here," said Jette Nantel. "And, we'd be buying products from other places and would have no say on the labor or environmental conditions there." Wisconsin Dairy Navigates Gaps In Immigrant Labor Policy was originally published on WisContext which produced the article in a partnership between Wisconsin Public Radio, Wisconsin Public Television and Cooperative Extension.